Fibromyalgia neck pain can be a primary or secondary expression of this misunderstood and rampant syndrome. FMS has become a real crisis in the modern health sector, especially for women between the ages of 25 and 45. There is no single universally accepted reason why people develop FMS and no singularly accepted treatment for the disorder. Symptoms are known to be fierce, treatment-defying and chronic, slowly reducing life to a torturous ordeal for almost every patient. Meanwhile doctors argue furiously about the true nature of the condition, with many claiming a disease process at work, others citing environmental factors and still others preaching dietary causations. Of course, there is always the minority of more enlightened caregivers who view FMS as yet another of the mindbody disorders which have become so incredibly troublesome for patients and doctors alike. This narrative focuses on exploring neck pain that is experienced in relation to a diagnosis of fibromyalgia. 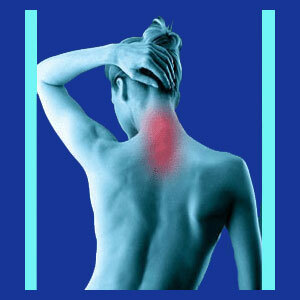 What is Fibromyalgia Neck Pain? FMS is a condition which lacks definitive diagnostic criteria, but has nonetheless been classified as a disorder unto itself. It is mostly diagnosed and treated by rheumatologists who have classified symptomatic expressions in 18 key points as being inherent parts of the disease in most patients. Of these 18 locations, 10 of them reside in the actual neck or within extremely close proximity to it. Obviously, neck ache is a big concern for many FMS patients. Neck pain related to FMS may take any of the forms experienced by other patients. It may be in the front of the neck or the back of the neck. Some patients experience it mostly at the base of the skull or at the very bottom of the neck, almost into the thoracic region. Meanwhile, still other sufferers have it in the clavicle area. Of course, while FMS has certain diagnostic criteria, it is extremely common for symptoms to be wildly widespread, with many patients having pain literally over their entire bodies or at least in very large portions of their anatomies. Dietary changes are often illogical and based on small pools of statistics which may be more anecdotal than factual. Hormonal therapies are very common, especially with female patients. Pharmaceutical treatment is the rule. Treatments usually consist of pain management, which can be very dangerous and even fatal long-term. Other substances might seek to enact changes in the chemical composition of the body or the function of the endocrine system. New age treatments span an incredible range and are usually set up as money-making schemes rather than proven therapies. Complementary medicine is actively involved in FMS care also, with chiropractic, reiki, massage and other types of treatments being actively sought out by many sufferers. FMS is a truly nightmarish condition to suffer under. I found the most enlightening research is that offered by the field of mindbody medicine. Doctors who treat FMS with knowledge therapy have reported excellent results without any risk or side effects at all. This is a refreshing change compared to the pharmaceutical obsession or wacky unproven scams perpetrated against most sufferers at great health and financial expense. We have actively worked with many FMS back pain sufferers for years now and have seen how using a purely mindbody approach can work wonders for many cases. To learn more about this alternative method of truly resolving FMS neck pain, read the various books dedicated to knowledge therapy and decide for yourself if this modality makes sense.